The gender pay gap and the glass-ceiling are harsh realities for many European women. Yet, they represent only one side of the medal, the external perception of the society. What about inner awareness? Are girls educated to think about covering leading positions? Are the institutions and the local context affecting the way they see their role in today’s society? “Europe for Her” conference acted as a kick-off reflection on the crucial topics of women empowerment and accession to leading positions. 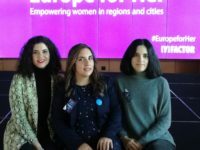 On 21st of January, the European Committee of the Regions brought together representatives, leaders and experts, in order to share new ideas on how women can be empowered in both politics and society. 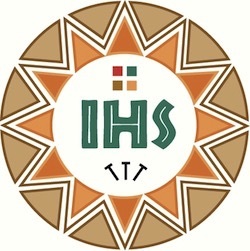 The conference was divided into two main sessions. The purpose was to focus the discussion on local actions for gender equality and improving women’s political representation at the local level. In both sessions, panelists and participants highlighted two issues. In the first panel, we discussed a general lack of awareness of gender-related issues and thus lack of action to address the obstacles women face in their daily lives. Local actions are often more effective and appealing to the general public than international and even national ones. These kinds of actions have the ability to catch people’s attention and involve citizens more actively, while allowing local authorities to be aware of people’s real needs and demands. In this way, results on women empowerment will become more tangible. Local leaders can appear more accessible to people, especially younger citizens. However, despite the proven importance of the local dimension, women remain underrepresented in public positions, especially in local decision-making across the EU. The second panel dealt primarily with the need to update our education systems. The role of schools and teachers is crucial to empower and involve girls and young women. They need access to role models to focus on what should be the normality. We need to start involving women more in the decision-making to challenge the structural power dynamics that perpetuate gender inequality. If we want young girls to feel free and to become the leaders of tomorrow, we need to set an example today. It is essential to provide the next generation of female leaders with the right opportunities and to build young women’s self-confidence to pursue successful careers. Therefore, women who are leaders in their company, country or political party should share their paths to allow the younger generation to picture themselves as future CEOs or Presidents. The first important achievement of this conference was adding the local dimension to the fight for gender equality and giving it the importance it deserves. The second achievement was the vibrant and energizing atmosphere of the debates they had empowering to the many women attending the conference. Finally, this initiative will go beyond words to political and social results. What is for sure is that young women are more than prepared to be the leaders and tomorrow. Despite the many challenges ahead, this movement keeps on growing. It will achieve its final goal, when real equality of rights and opportunities are available to all.